Don’t be fooled into thinking that you don’t need to do any design when you adopt Agile. Agile development strives to deliver business value early and often, focusing on getting working software to market as soon as possible rather than dwelling in documentation and ‘analysis paralysis’. But let’s be clear, “business value” and “working software” are not the same thing. You can quite easily get something into production that fails to generate revenue, decrease costs or whatever other yardstick you use for ‘value’. What differentiates the two of them is design. I don’t mean big up front design that details all the features and provides a concrete spec, I mean a design vision that articulates what the product goals are and a roadmap for getting there. And what is a design vision? 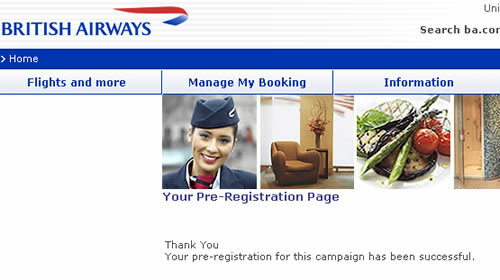 A short statement of intent is a good place to start, and soon after a user interface mocked up in pen and ink. It is cheap and easy and helps bridge the path from idea to execution. This blog was getting tired in its design so I’ve given it an overhaul, including introducing some widgets. (What an awesome piece of software WordPress is). I’ve also added a new page with a bunch of published papers. some classics in there (if I do say so myself) such as “Heat stress in night clubs” and “Occupational disorders in Ghanaian Subsistence farmers” !!. The rest of the dancingmango site was not built using wordpress, so to update it all in one go would be time consuming and of little value. OK, so there is inconsistency across the site and as a UI guy that hurts, but it is one of the trade-offs that needs to be made. Where are the missing floors? 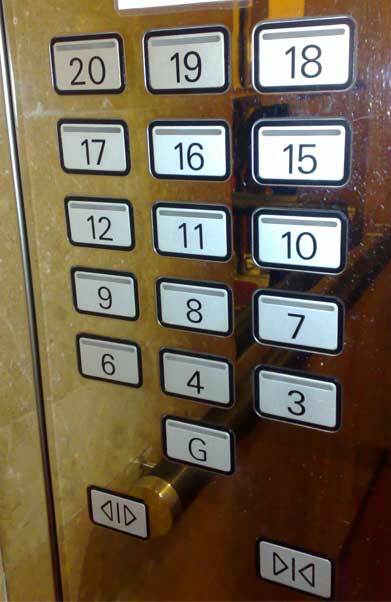 It is fairly standard practice in Hong Kong for buildings to have no thirteenth or fourteenth floors. They are considered unlucky numbers. Not sure what happened to the first, second and fifth floor here. And back-to-front button numbering that is neither in the telephone format nor the phone format. There’s a couple of lessons to learn here; when designing human-technology interactions consider cultural norms and existing design stereotypes. (Sorry, its the Human Factors conditioning in me that notices such things). Documents, or rather words are the scourge of product design. Because words can never convey the true meaning or emotion of what is really required. All to often, software development projects are driven by the documentation – agile projects can be equally guilty of this- driven by words on paper (or card) that convey what the requirement is. Issue #1. Developers don’t read! Except for a few exceptions, software is all about a user interacting with a system in order to accomplish a goal. Trying to describe that premise in terms of features and functionality is fundamentally flawed as it will be nested in the language of technical implementation, not in the user interaction. “Find” becomes “search”, “buy” becomes “shopping cart”, “check” becomes “validation” and so on. Issue #2. The desired outcomes become lost in a smog of technical jargon. Solution: Picture Driven Design. Up front. Yeah! I’m all for up front design! A picture tells a thousand words. It has the power to remove ambiguities, clarify the vision, showing what the journey to realise outcomes look like. Start with a day in the life of… scribble out the flow, the user journey. Nothing complicated, boxes and arrows. Then scribble out what the user interface might look like. Done. That’s your up front design. That’s your documentation. That’s your scope. What you do next is up to you, write loads of documents that describe it and produce the software in a waterfall way if you want. I’d prefer you were more lean and adopted agile practices, but whatever you do, start with the picture. I’m convinced it will save much pain later on.